You may know Robert McCloskey as the author and illustrator of Make Way for Ducklings or Homer Price, but in our family it's his books set in Maine that we particularly love. In fact, Robert McCloskey's books occupy an important place in our family. My husband's family is from Maine. All of the children in our widespread family must be introduced to Maine even before they visit. 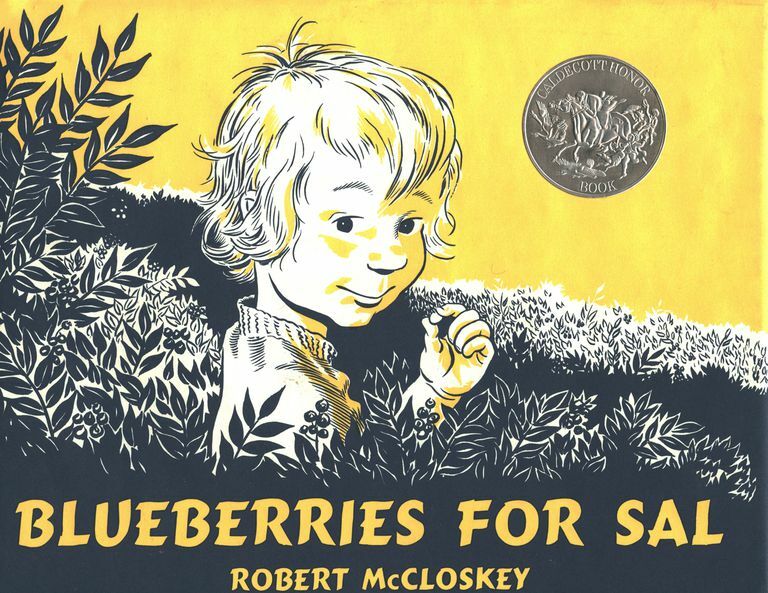 This introduction takes place through McCloskey's children's picture books Blueberries for Sal and One Morning in Maine. The former highlights a favorite pastime, picking blueberries, and the latter focuses on daily life in the area of Maine my husband Dennis is from. As a child, he summered in South Brooksville, the village in which McCloskey's Sal and her family shop. When children and grandchildren visit Maine, their Maine relatives and friends always make sure they go home with one or more children's picture books by Robert McCloskey that are set in Maine. However, you don't have to be from Maine to enjoy McCloskey's Caldecott award-winning Maine children's picture books. The captivating illustrations and stories are reason enough. McCloskey was able to capture the spirit of Maine because he and his family settled there after World War II. As a boy in Ohio, he was interested in music and inventing until high school when he decided on the artist's life. McCloskey won a scholarship to the Vesper George Art School in Boston and then went on to the National Academy of Design in New York. After making little headway as an artist, he began drawing and painting everyday life. His first book, Lentil, was followed by Make Way for Ducklings, which was awarded a Randolph Caldecott Medal in 1941 and has become a classic. 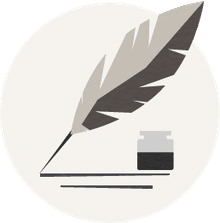 Robert McCloskey once said, "It is just sort of an accident that I write books. I really think up stories in pictures and just fill in between the pictures with a sentence or a paragraph or a few pages of words." After moving to an island home in Maine, he wrote three books set in Maine that received Caldecott honors within a nine year period. Robert McCloskey died in 2003. In 1949, this charming book was designated a Caldecott Honor Book. The two human characters in the story, little Sal and her mother, are said to be based on Robert McCloskey's wife, Margaret, and daughter, Sarah. When Sal and her mother climb Blueberry Hill to pick blueberries another mother and "child," a bear and her cub, are climbing up the other side of the hill to pick blueberries. The story of how "Little Bear and Little Sal's mother and Little Sal and Little Bear's mother were all mixed up with each other among the blueberries on Blueberry Hill" contains the perfect blend of humor and suspense for young children. McCloskey's black and white illustrations are full of movement and life. In this 1953 Caldecott Honor Book, Sal is several years older and about to lose her first tooth. Everything Sal does that day, from clamming with her father to going by boat to Buck's Harbor for supplies, is affected by her tooth. When Sal's tooth falls out and is lost, she consoles herself by wishing on a gull's feather in place of her lost tooth. By the time Sal, her father, and sister Jane, arrive in Buck's Harbor, Sal is eager to tell everyone that her tooth is out. This book provides a very interesting look at daily life for a family living on an island in Maine. Once again, McCloskey's black and white illustrations create a mood of activity and anticipation. This book, the Caldecott Medal winner in 1958, is also set in Maine, but it is a decidedly different type of book. Time of Wonder was McCloskey's first picture book in full color. Beautiful watercolors of life on the islands in Penobscot Bay illustrate each page. Sunny weather, foggy weather, rainy weather, and a hurricane are all part of life on the islands. So, too, are boating, castle building, nature walks, and playing. The writing is lyrical and speaks very personally to the reader/listener, beginning with "Out on the islands that poke their rocky shore above the waters of Penobscot Bay, you can watch the time of the world go by, from minute to minute, hour to hour, from day to day, season to season." This is a wonderful book, one to be cherished and read, and read again by both children and adults. All of these books should be available at your public library. The publisher of Blueberries for Sal, One Morning in Maine, and Time of Wonder is Puffin, an imprint of Penguin Group (USA) Inc.
Who Won the Top Awards for Picture Book Illustration in U.S.?